Compatibility with smartphone and PC,Tablet,Laptop and other devices with Bluetooth function. Answer the call for business and office. CAN’T listen to the music from the cellphone,but can listen to the music from the PC with a Bluetooth transmitter. A business style bluetooth headphone, it is compatible with for PS3 game consoles, computer and most Bluetooth cell phones. Besides, the Bluetooth headset also can be connected with two Bluetooth phones at the same time. 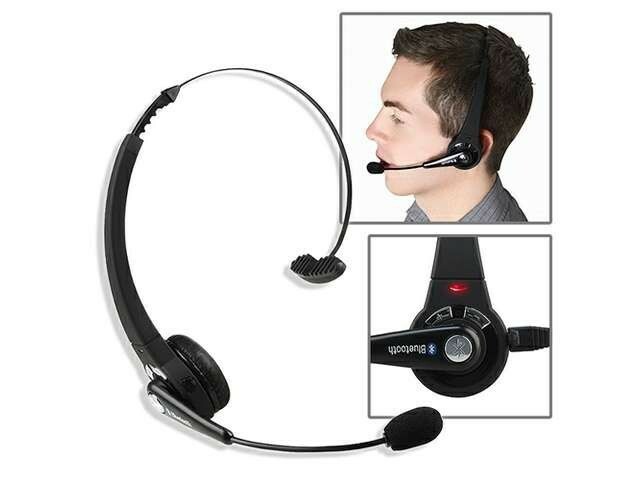 Mono Bluetooth headset supports headset profile and handfree profile. Compatible with for PS3 game consoles and most Bluetooth cell phones. Noise cancelling technology provides crystal clear sound quality. With multipoint connection, the Bluetooth headset can be connected with two Bluetooth phones at the same time. Compact and light-weight design for comfortable fit.